As we continue to use our mouse or smart phone as the primary communication tool for business, it is essential you understand the value of twitter. Twitter is THE site for micro-blogging. 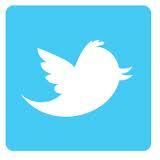 Twitter allows for real time communication and messaging in 140 character bursts or tweets. Twitter users can post their tweets, which can include links to video, Facebook & Google+ pages, photos, blogs, and other relevant informative pieces. On a Saturday prior to taking the plunge into social media marketing and not knowing what I was doing. I set up a twitter account (@hermosahillscr) for a development we are involved with in Costa Rica. Not realizing what I was doing, I failed to place a link to our website to access additional information, less than 48 hours, I received a call at my office in Florida from a potential buyer in Arizona interested in a million dollar home in Playa Hermosa, Costa Rica. Obviously, I immediately saw the power in this social media tool. This interaction would have never have happened if I not begun learning the value of social marketing. Stay away from automated apps that are available that tweet for you, beware of the robots! It's a new world of communication available to you; don't make the mistake of not taking advantage of this opportunity to grow. It's easy, quick, fun and profitable. Looking forward to your future tweets! Here You people shared many business tips and advices for how to running a business smoothly and regularly till long-long time.A lot of thanks to all for sharing nice business solutions and tips,Please keep such nice information continue in near future.